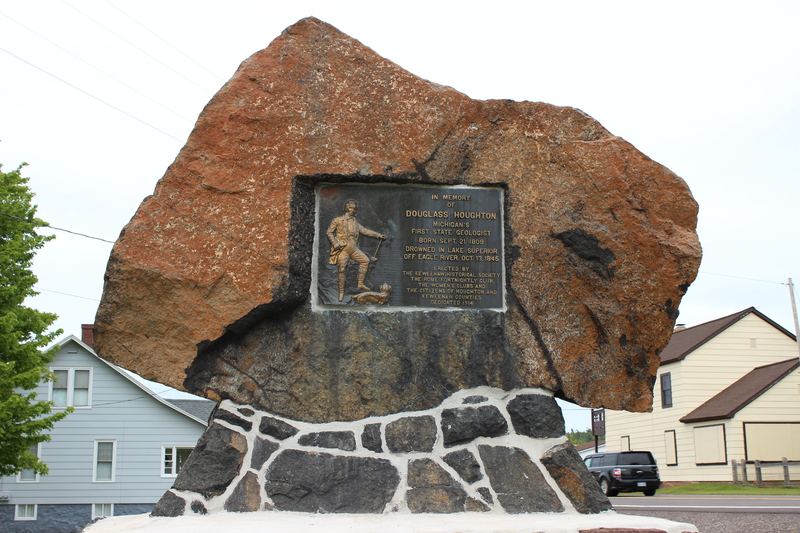 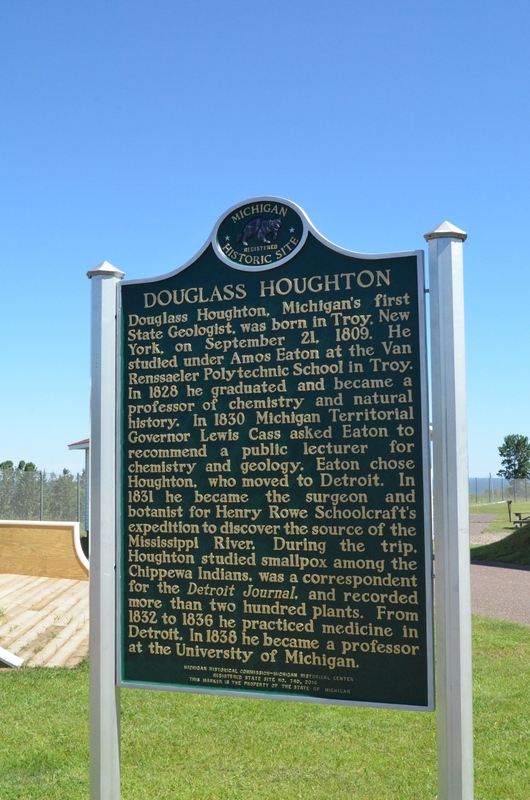 Today’s Michigan Roadside Attraction actually covers two different spots in Eagle River that honor Douglass Houghton, our first state geologist and the namesake of Houghton, Houghton County, Douglass Houghton Falls and more. 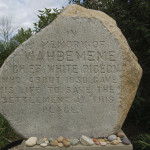 The first site features a memorial plaque on a rock, easily accessible from M-26. The second site features a new Michigan historic marker in front of the Eagle River Museum (also located on M-26). 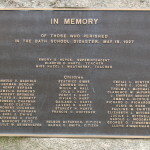 I have no idea why the marker wasn’t placed at the already-existing memorial. 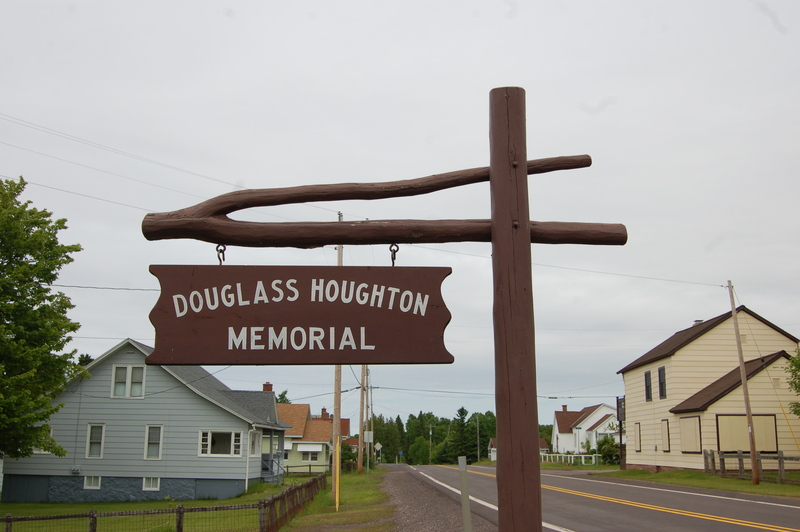 Today we’ll tell you how to visit the Douglass Houghton Memorial, and provide some background on his contributions to the history of the Keweenaw Peninsula and beyond. 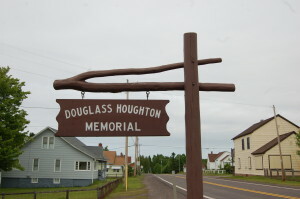 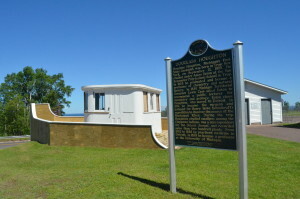 The Douglass Houghton Memorial can be found at the corner of M-26 and W. Main St. 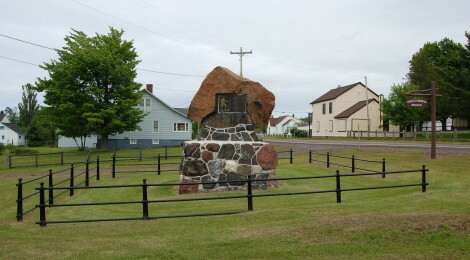 This memorial is made up of stones from various Upper Peninsula copper and iron mines, and it dates back to 1914. 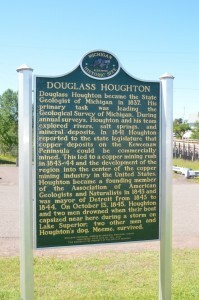 The plaque on this memorial gives Houghton’s birth and death dates, and notes the efforts of the Keweenaw Historical Society, the Home Fortnightly Clubs, the Women’s Clubs and the Citizens of Houghton and Keweenaw Counties in making it possible. 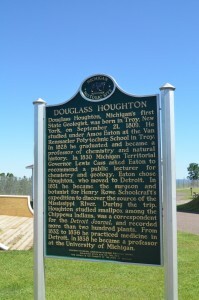 The new Michigan historical marker honoring Douglass Houghton can be found at the intersection of M-26 and 4th St. 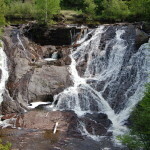 There is parking available here at the viewing area for Eagle River Falls and the historic Lake Shore Drive Bridge. 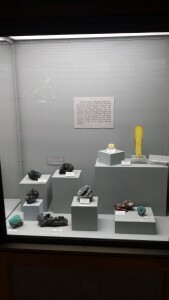 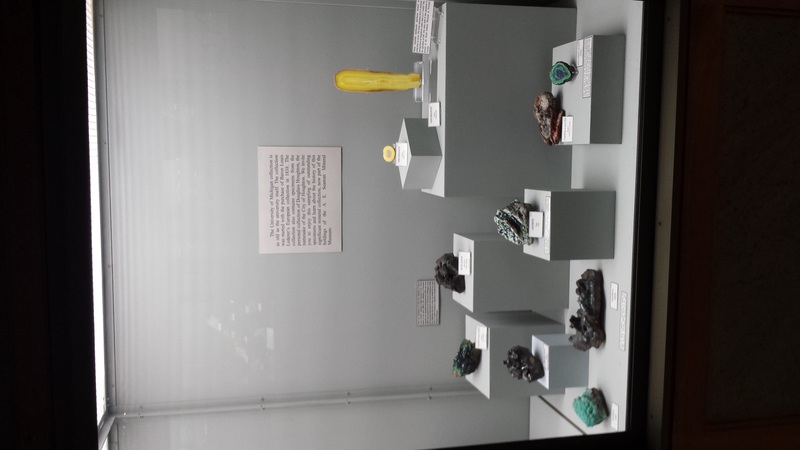 Last year we were able to see a few specimens from Houghton’s personal collection at the A. E. Seaman Mineral Museum on the campus of Michigan Tech in Houghton. 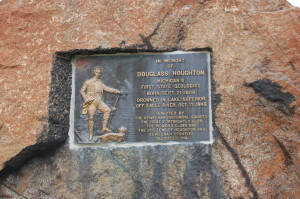 Though he died here near Eagle River, he was buried at Elmwood Cemetery in Detroit. 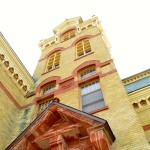 Though his life was short, his contributions to the state and especially the Upper Peninsula were incredibly important. If you find yourself driving through Eagle River, take a moment to visit the Douglass Houghton Memorial, a great tribute to Michigan’s first state geologist.